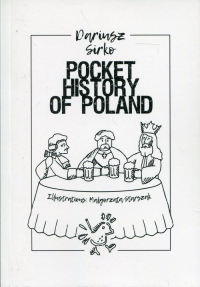 „Pocket History of Poland”, to książka powstała z materiałów wykładu o Polsce w trakcie projektu mobilności europejskiej na Maderze. Pozycja jest dedykowana przede wszystkim obcokrajowcom, którzy wiedzą na temat naszego kraju niewiele. Książka opowiada historię Polski jakby w trakcie przyjaznej pogawędki przy kuflu piwa. Takie podejście, wg autora, jest najlepszym sposobem na zainteresowanie czytelnika i pozwala na dobre zrozumienie niełatwej historii Polski. Książka obejmuje legendarne pochodzenie kraju i jego mieszkańców. Zabierając czytelnika w podróż przez czasy osadnictwa, średniowiecze, Polskę mocną i okres okupacji aż po sprawy bieżące, „Pocket History of Poland” opowiada historię Polski od nowa, z humorem, jednak utrzymując powagę ważnych wydarzeń historycznych. The history of Poland is unique within Europe, in that it must be contextualised within its relations with its often more powerful and aggressive neighbours. From the early days of the Piast dynasty through to the dark periods during the 20th century, Poland and its inhabitants have had to contend with oppression from both the east and the west. This has contributed to a tumultuous history and formed a steely national character. It is therefore unsurprising that in 1804 the fledgling Haitian state selected the Poles as one of the very few Europeans permitted to reside and own property in the new republic. The Haitian slaves turned revolutionaries felt a kindred spirit with Poland, with first president Jean-Jacques Dessalines referring to the Poles as 'the white negroes of Europe'. 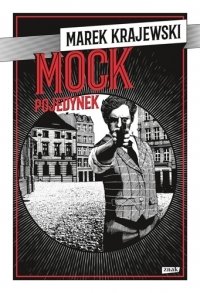 It is this story, of overcoming adversity and oppression, that Dariusz Sirko explores in The Pocket History of Poland. From its mythic origins through to its Machiavellian medieval period, and more well-known struggles against totalitarian regimes, The Pocket History of Poland tells Poland's history in its entirety. While this may seem daunting, Sirko imbues the text with his own humour and keen eye for metaphor and euphemism, making it an utterly compelling read. Such is the author's deep appreciation for Poland's national story that moments of levity and wonder are presented appropriately, while the darker elements of Polish history are treated with the gravitas that they deserve. I was particularly struck by the passage focusing on the Smolensk plane crash of 2010, in which President Lech Kaczyński and many others lost their lives. This recent event clearly affected Mr Sirko deeply, which is borne out within the text. While contentious and challenging, the way in which the fallout of the crash is discussed clearly taps into a contemporaneous national mood of anger and frustration, and will be easily recognisable to a person from any nation that has lived through a period of national mourning. From a personal perspective, my desire to work with the author on this project was motivated by my own heritage. My grandfather was born in Lublin in 1931, before moving first to Wadowice in 1936 and then to Edinburgh on the onset of the Second World War. I have always had a desire to learn more about my ancestors, and working on the English language text of The Pocket History of Poland was a fantastic way to gain a closer connection to my own family's past. Therefore, I can wholeheartedly recommend the book to Polish expatriates and people of Polish ancestry who want to learn more about the history and culture of Poland, in a conversational manner that has been designed to appeal to English speakers. Equally there is much for Polish nationals to learn, with Poland's legendary origins and medieval history of courtly intrigue befitting of a Hollywood reinterpretation. 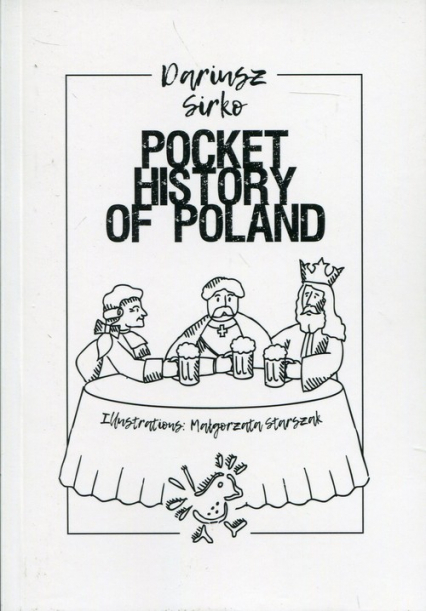 Regardless of your own personal situation, if you are seeking a light read that will both amuse and inform, I would highly recommend The Pocket History of Poland. (Josef Butler, freelance historian, editor to The Pocket History of Poland).